Andy Bloom has an established record of building loyal audiences and converting ratings into revenue. Bloom has success stories in multiple formats, on four continents, all while working in both the private and public sector. Andy Bloom has a unique combination of Analytical and Creative skills, and he is known for creating strategic plans based on Analytics and Big Data and coming up with non-traditional, creative solutions to challenging problems. Bloom is best known as the Program Director who launched the first ever Howard Stern radio simulcasts, first in Philadelphia and later Los Angeles, spawning today's national morning shows. Stern is among the many well-known air talents, C-Suite executives, and Members of Congress Bloom has advised or coached. In addition to content development and coaching high-profile personalities, Bloom is a tested crisis manager, a master communications and PR manager, a strategic marketer, and a top marketing researcher. 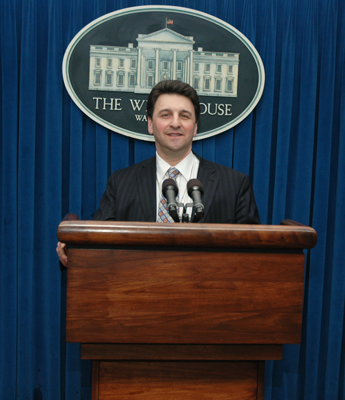 Bloom is a trusted political operative and served as Communications Director for Congressman Michael R. Turner (R-OH). He worked both in Mr. Turner's Congressional Office and on two highly successful reelection campaigns. For the past eight years Bloom has worked as Operations Manager for CBS Radio - Philadelphia, overseeing Talk Radio 1210 WPHT and Sports Radio 94WIP, leading it to record ratings and market leading revenues. The NAB (National Association of Broadcasters) named WIP as a Marconi award finalist four consecutive years, from 2012 to 2015. Radio Ink Magazine named Andy Bloom on its list of "Top Programmers" in 2012, 2014 and 2015. He is consistently recognized as among the most innovative, creative minds and capable problem solvers in the industry. Previously, Bloom served as Vice President of Programming for Greater Media and was also Vice President of Programming for Emmis International working in Budapest, Hungary and Buenos Aires, Argentina. He served as General Manager for the latter as the country went through its economic crisis. He also advised over 20 stations as a consultant for Jacobs' Media. In addition to his programming experience, Bloom is highly respected for his research and analytical expertise. As Executive Vice President at Coleman Research he designed, conducted and provided analysis for over 20 stations in a variety of formats. He currently resides in Ardmore, PA with his wife of 12 years and eight-year old twins, and he is a graduate of Marquette University in Milwaukee, WI. My name is Ross Katz. I am a New York based filmmaker. I function as a Producer, Director, and Writer. I have twice been nominated for the Academy Award (Best Picture: IN THE BEDROOM, LOST IN TRANSLATION). In addition, I have won the Golden Globe, and recently the Best Director from the DGA and Best Screenplay from the Writers Guild of America. I have also been nominated for the Emmy twice. I could not be more humbled or delighted to write to you on behalf of my mentor, Andy Bloom. You see, I would not have achieved ANY of the above without Mr. Bloom's mentorship. It began more than two decades ago when I was a hungry Radio/Television/Film student at Temple University. Andy took me under his wing, first as an intern, and then by hiring me to only be on-air, but to work in promotions and marketing. When Andy moved to Los Angeles to run one of the most coveted stations in that market, he allowed me to follow him there. Not only did he house me, but he mentored me as I made the transition into film and television. Andy Bloom literally guided me to my next steps, which included working for Quentin Tarantino on RESERVOIR DOGS, and legendary director Sydney Pollack. When I decided to move to New York to pursue work with the great Ang Lee, Andy counseled me on Producing and how to win the job. I have, to date, made nine films. I have spoken at Columbia University, NYU, and Temple University. I can tell you that Andy Bloom offers real life experience, guidance, and mentorship within the world in which I work. His savvy understanding of both the artistic AND business sides of making movies and television is incomparable, in my mind. His knowledge of radio, too, is beyond compare. I would be very happy, at any time, to discuss Andy with you.